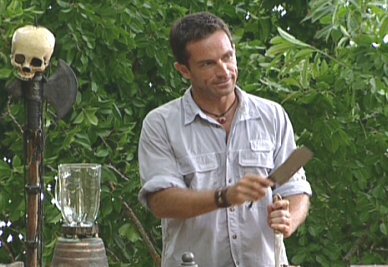 Drake and Morgan square off at the end of episode five for the big immunity challenge. And it's the gross food challenge! 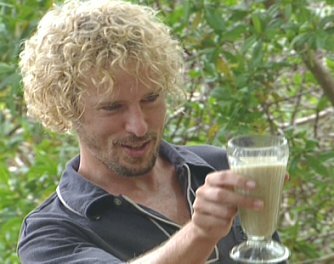 The two tribes will be drinking "seafood smoothies", in which Jeff blends together two random items and they have to drink the result. It is one of my favorite gross food challenges they have ever done on the show. Red Snapper. Very tasty fish. Anyway, towards the end of round one Jon from Drake squares off against Darrah, the cute mortician from Morgan. The two of them walk up to take center stage and, before the challenge can start, Jon suggests that Darrah kiss him beforehand for good luck. Darrah, being a respectable southern lady, politely declines. "No thanks, Jon. That's okay." 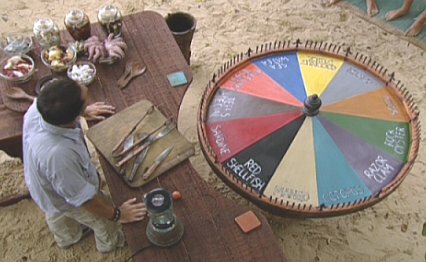 Now, Jeff Probst obviously can't pass this moment up. He knows a good setup when he sees one. So he turns to Darrah and asks, "Darrah, outside the game, what chance would Jon have with you? Assuming you didn't have a boyfriend, what are the odds you'd ever go for someone like Jon?" Darrah, what are the odds you'd go for this guy? And Darrah times her response perfectly. So what are the odds that she'd ever go for a guy like Jon? 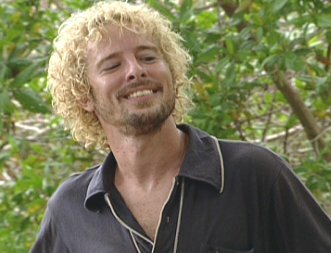 This is one of my favorite scenes in Pearl Islands. 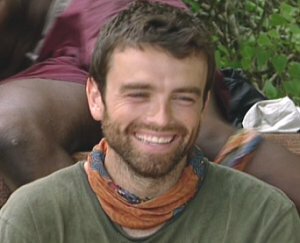 Everybody on the Morgan tribe busts up laughing, and Jon gets a wounded look on his face. So Darrah tries to apologize. She says, "No offense," but this sort of makes it even worse. Because then Rupert mocks Jon from the sideline, "No offense... but none." "Just for that, I'm gonna vote you out at the final four. Cheers." P.S. I'll say right now that this isn't the only time that Jonny Fairplay gets smacked down by a woman on the Funny 115. 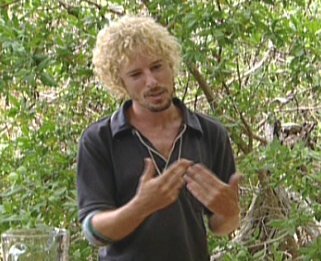 That sort of thing actually seemed to happen a lot during Pearl Islands, and I think every single moment will wind up making the countdown.